Pie Chart Guild • View topic - Heroic: Madness of Deathwing Down! Home » Board index ‹ Public ‹ News & Announcements ‹ Heroic: Madness of Deathwing Down! We're 8/8, but this is just a filler post because Ashunei won't give us a front page post for months anyway! Maybe seeing this every time he opens the website will cause an update to happen sooner? 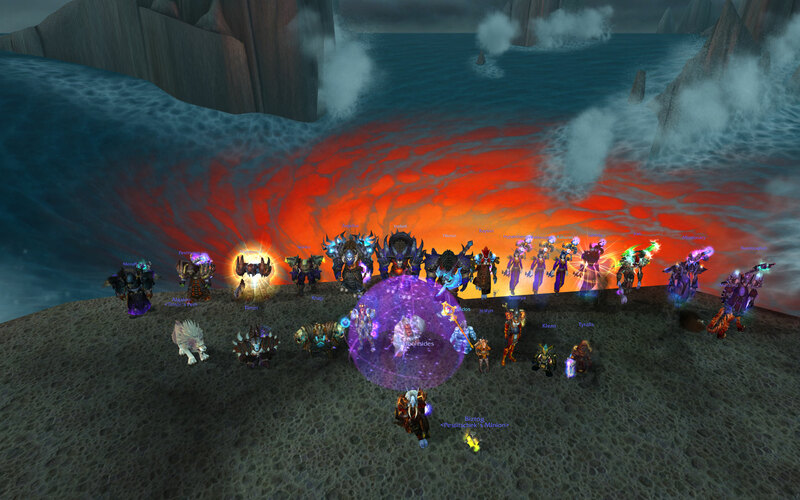 Re: Heroic: Madness of Deathwing Down! Man, what a bunch of ungrateful haters. Bambi! What're you doing to my felhunter in that screen?!?!?!? !